Blog Amazon Web Services How to Prepare for AWS Certified DevOps Engineer Professional Exam? How to Prepare for AWS Certified DevOps Engineer Professional Exam? Preparing for AWS DevOps Engineer Professional certification exam? We’ve got you covered with the AWS DevOps Engineer Professional Certification Preparation guide. In this article, you will also get a brief on AWS DevOps certification cost, AWS DevOps certification training, and AWS Certified DevOps Engineer Professional salary. Managing and implementing the applications on the AWS platform. Operation of distributed application system on the AWS platform. Designing and deployment of the logging systems using the AWS platform. Designing and maintenance of Automate Operational AWS services. Authorizing automate security tools using AWS networking functions. Implementation of Compliance Validation and Security Control. Deployment of Monitoring and Metrics features or systems on AWS platform. Implementing, troubleshooting, availability, and scalability of AWS systems. We are pleased to announce the launch of AWS DevOps Engineer Professional – Online Course. The online course is built on an interactive platform, allowing learners to access training videos. An AWS DevOps professional engineer who has expertise in Amazon Web Services and has passed AWS Cloud Practitioner or any of the Associate level certification exam can start preparing for the AWS Certified DevOps Engineer Professional Certification Exam. It is mandatory to cover all the eight above mentioned objectives for the exam including associate level developing concepts during AWS Certified DevOps Engineer Professional Certification preparation. Candidate’s Overview: If you are interested in the AWS Certified DevOps Engineer Professional exam, then you must check the eligibility for this exam. You must have knowledge of at least one high-level programming language. Agile Knowledge along with its processes & methodologies. 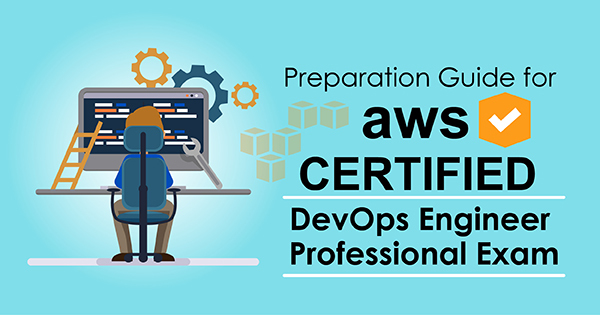 “Success is the result of preparation, perfection, and hard work.” Thus, it is necessary to prepare well for the exam and so there is the need for good AWS DevOps Engineer Professional Certification Preparation. Now, we will cover step by step preparation guide on how to crack the AWS Certified DevOps Engineer Professional Certification Exam. On reading this article, you will get a good knowledge about where to start and prepare from, to pass AWS DevOps Engineer Professional exam. In case of any query, you can also share your comment below, we’ll get back to you. – Application deployment management policies such as rolling deployments and A/B. – Version control, testing, build tools and bootstrapping. Validate an understanding of structure formation and automation. Implement and achieve continuous delivery processes using Amazon web services. Develop and accomplish scripts and tools to program operational tasks using the AmazonWeb Services SDKs, CLI, and APIs. So many AWS Certifications, Confused while choosing the AWS certification? 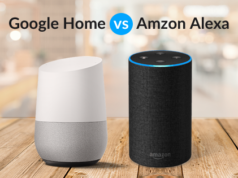 Read our previous blog on Which AWS Certification should I Choose? Monitor and manage billing and budget optimization procedures. Aggregate and examine infrastructure, Operating System and application log files. Use metrics to drive the scalability and health of infrastructure and applications. Analyze data composed from monitoring systems to distinguish application patterns. Manage the lifecycle of application and infrastructure logs. Control the AWS SDKs, CLIs, and APIs for metrics and logging. Implement and manage Identity and Access Management and security controls. Implement and manage security for data in-flight and at rest. Implement, program and authenticate cost controls for AWS resources. Implement and achieve automated linkage security and checking. Apply the suitable Amazon Web Services account and billing set-up choices based on business requests. Implement and manage Amazon Web Services resource auditing and validation. Use Amazon Web Services to implement IT governance policies. Control suitable use of multi- Accessibility Zone versus multi-region designs. Implement the aptest front-end scaling architecture. Implement the most suitable middle-tier mounting architecture. Implement the aptest data storage mounting architecture. Validate an understanding of when to properly relate vertical and horizontal mounting options. 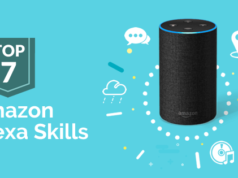 The next step in the AWS Certifed DevOps Engineer Professional certification preparation is to obtain an AWS training course that will help you understand the designs on the AWS platform especially to develop and sustain applications. The course will brief the principles along with the concept of the DevOps methodology and you will observe use cases connected to enterprise companies. Design and Implement infrastructure to learn the concepts of AWS along with DevOps methodology. Use of AWS Cloud Formation & AWS OpsWorks. Design & Implement AWS CodePipeline use. use cases in AWS technologies. Differentiation between the technologies available on AWS. Patch Management’s use in AWS. Understanding with work experience in one or more programming languages such as Python or Ruby on Rails. Good understanding with work experience of AWS Command Line Interface (AWS CLI) and AW”S Management Console. Have you made up your mind to build a career in AWS? Let’s start with a quick introduction to Amazon Web Services! The AWS documentation gives you complete information about the services. You will get here enough information about the services from the basic introduction to the high-level and advanced features. There are different categories of the services so choose the required one to get the details. 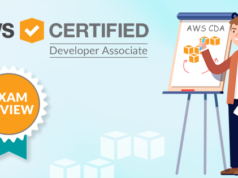 When you are done with your preparation, it’s the time to check your preparation level with AWS Certified DevOps Engineer – Professional Certification Exam Free Sample Questions. These free questions will help you get an idea of the exam pattern of the actual exam. Practice is the key point for perfection. When you are done with all the preparation, just focus on practice. Check online practice papers for the AWS Certified DevOps Engineer – Professional Certification Exam. In case, if you are a self-learner, For AWS DevOps Engineer Professional Certification Preparation Online Training videos are good to prepare for the exam. Preparing for the AWS Certified DevOps Engineer Professional exam? Check your current level of preparation with AWS Certified DevOps Engineer Professional practice tests. So, all set? If you are prepared enough then why to delay? Get ready to register for the exam and create an AWS Certification account on the official website of Amazon Web Services. After taking this certification, you can also avail the benefits of this certification. In short, this will help you to access, view and manage your certification. A certified AWS DevOps Engineer earns more than a non-certified AWS DevOps Engineer. As per the Global Knowledge platform, Average AWS Certified DevOps Engineer Professional salary is 125,743 USD per Annum. “There is no competition for the real world involvement in the Amazon Web Services domain”. If you are the self-learner kind of person and want to cover theory and practice both, all you need to do is focus on your training, more on weak areas, and gain considerable experience in Amazon Web Console. Hope after reading this article, you will learn more about AWS DevOps Engineer Professional Certification Exam, AWS DevOps Engineer Professional Certification Preparation, AWS DevOps Certification Training, and average AWS Certified DevOps Engineer – Professional salary. Whizlabs, pioneering the online certification training industry, helps professionals to pass the exam and get the certification. To fulfill this aim, we have brought this AWS DevOps Engineer Professional certification preparation guide for you. Besides it, our AWS DevOps Engineer Professional practice tests and AWS DecOps Engineer Professional Online Course help you prepare and pass the certification exam. These tests make you confident enough to pass the exam in the first attempt. Wish you luck with your exam! Have any query or concern regarding AWS DevOps Engineer Professional Certification Preparation? Just write in the comment box below or contact us at Whizlabs Helpdesk, we will get back to you in no time!